Happy Monday friends! We finally have a break from all of the rain in San Francisco, therefore I am trying to get in every ray of sunshine I can before the rain comes again. It is amazing how you can take something like sunshine for granted till you don’t have it for a few weeks on end. It has brought a whole new appreciation for mother nature, which is just nice to stop and reflect on. I am officially 44 days into my Whole 30. I keep debating when I am going to stop. I have a little bit of an addictive personality so it makes it hard to give up something when I start. Watching each day pass onto the next and seeing them all add up to a sum total feels like a big accomplishment. With that said, I am not feeling all of the amazingness I had hoped I would. Maybe it is just me wanting it to be more then it really is? At the end of the month I will be heading off to Japan for an 8 day vacation!! I am planning on eating and drinking all of the food and sake to my hearts content. Therefore I decided I may need to start re-introducing foods this week so I don’t defeat part of the whole goal of Whole 30, to see if you have any food sensitivities. I am also trying to pull back on my fruit intake as I have currently been using it as a crutch for my sugar cravings and frankly eat an absurd amount. Yesterday and today I have gone cold turkey, which may not sound like a huge accomplishment, but trust me it is. Fingers crossed I can keep up withholding. Goal as of now is to try and be fruit and alcohol free till the trip starts. I am starting dairy for re-introduction as I just miss my greek yogurt. And if I am giving up fruit a girl has to have something to look forward to! Then I am thinking gluten free grains and maybe soy and legumes. Will keep you all posted! Tim Ferris: A couple of weeks ago a couple of us went to see Tim Ferris speak at the Castro Theater. I was introduced to Tim’s work through my partner Dustin as he is a big fan. Tim is best known for being a national best selling author, with his most note worthy book being “The 4-Hour Work Week.” In addition he is an entrepreneur, a pubic speaker, and has been an angel investor. He saw potential in some of the top companies within Silcone Valley before anyone else did. For instance Facebook, Uber, and Twitter just to name a few. He hosts a weekly podcast, which I love not only for his content but his voice as well. It is just memorizing. Overall he is an impressive man and constantly pushes himself to the limit for self experimentation. It was an informative and inspiring talk and I highly recommend checking him out! Valentines Day: Although I am attached and very much in love, I have never been a big fan of Valentines Day. Maybe it was all of the years of being single and having to see happy couples celebrate with flowers and expensive dinners, where I spent many years with girlfriends, over drinking, and sharing in all of our awful dating stories. With that said I thought I would share a couple of articles I found interesting this week. And they are not about being madly in love. Podcast: How I Built This– A friend shared this podcast with me a couple of months ago and I am obsessed! 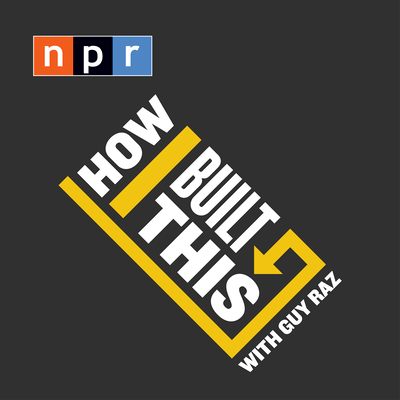 As the website states “How I Built This is a podcast about innovators, entrepreneurs, and idealists, and the stories behind the movements they built. Each episode is a narrative journey marked by triumphs, failures, serendipity and insight — told by the founders of some of the world’s best known companies and brands. If you’ve ever built something from nothing, something you really care about — or even just dream about it.” I highly reccomend checking it out! My favorite ones thus far are the founders of Instagram, Air BnB, and Patagonia.